A student enjoying a good book during recess. Kids playing in the Fall leaves. 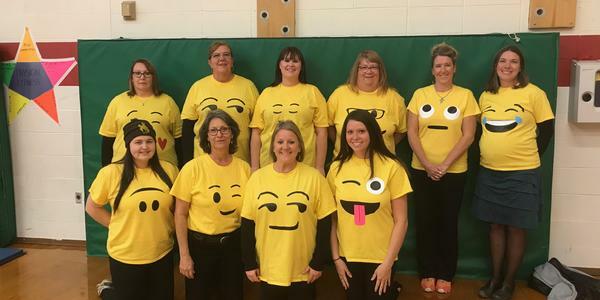 Elementary staff sporting their emoji shirts for Halloween. Laura Irwin Elementary Principal participates in school spirit days with her students. Students happy to be Piñatas during their Halloween party. Life-long learning through attitude, academics, and accountability.